When it comes to toys, a kids playhouse offers a whimsical and fun space for any child. Gone are the days of the lacklustre and basic wooden structure. Now, children can get all sorts of playhouses to suit their imagination and make their dreams come true! When it comes to toys, a kids playhouse offers a whimsical and fun space for any child. Gone are the days of the lacklustre and basic wooden structure. Now, children can get all sorts of playhouses to suit their imagination and make their dreams come true! Here are some decorating ideas to create the perfect children’s playhouse to suit your family. For any little girl, this is the ultimate princess hide-away. Turrets galore! 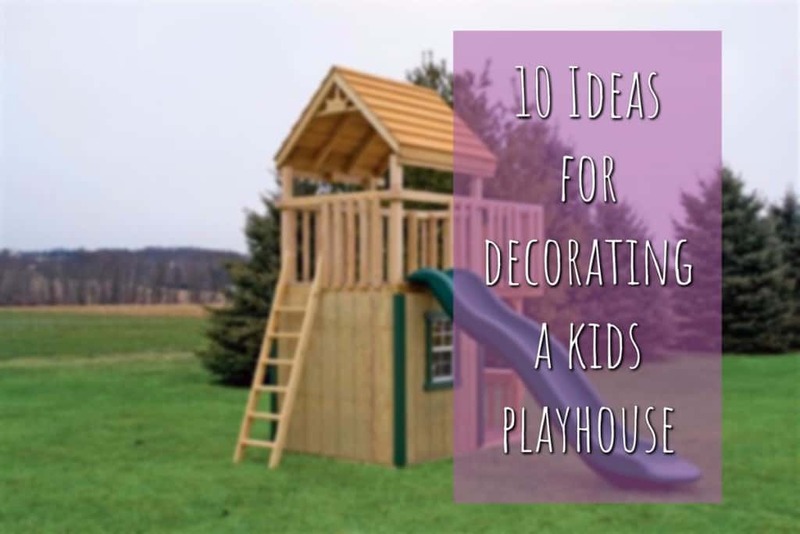 Let your fairytale imagination run wild decorating this kids playhouse. Think pink, girly and fairytale. All your child’s Christmas’s will come at once with this one. This one-of-a-kind play space is a cool addition to any garden. Add some climbing nets, surf accessories and you could paint it blue for a total beachside feel. Surfs up! Set amongst wild flowers and tall trees, this little slice of woodland magic will captivate the imagination of any child. Think Harry Potter meets woodland fairy and you are on the right track when it comes to magical decorating ideas. Reclaimed wood works perfectly as and the small windows make it really unique. When looking for kids playhouse ideas, this theme is one that even gets Dad excited! The out of this world structure could include features such as a launch pad, rock wall and a rocket swing. Your astronauts in training will love this! This quirky wooden playhouse shouts Cinderella and originality. A simple design yet totally effective. Add some wooden wheels and why not a slide like this one for total fun-factor! Every child enjoys playing shops, so why not build a little market playhouse where they can sell to their heart’s desire! To make this market playhouse authentic you should add a blackboard for pricing, a shop sign above the structure and a window from which they can sell their products. If you are looking for tasteful and understated kids playhouse ideas, look no further. 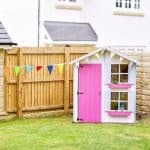 A basic wooden shed can be transformed into an idyllic wooden playhouse with a lick of paint and some imagination. 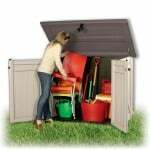 Plus children won’t outgrow the playhouse, as you can easily return it to a functioning shed when they are older. If your children are huge fans of Lord of the Rings, they would love nothing more than a Hobbit Playhouse that looks like it belongs in the Shire. Think round doors and windows and set into a hill or mound of earth for total hobbit effect. They’ll love it that much, they will want you to build a village! Why not decorate your wooden playhouse as a hospital for your children to play in. Your children’s friends will have playhouse envy for this one. Plus they can keep their cuddly toys hidden away out of the house when using them as patients! This can be easy as adding a hospital sign to the top of the playhouse. This miniature garage playhouse idea is the perfect fit for those automobile enthusiasts. Add some garage doors, tools and a garage sign and your little mechanic will be ready to get to work! When it comes to playhouses, the possibilities are endless. If you’ve been struggling for inspiration, at least one of these themes should inspire you to be creative! Be it a mini princess or aspiring astronaut, one of these playhouse ideas will captivate your children’s imagination. Give it a go! 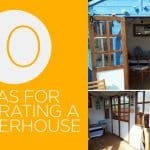 Or, if you want to take inspiration from our customers, have a look of our customer playhouse stories.